This is the kit, all you do is sew! Jill and I went to the Hawaii Woman Expo last month. We had so much fun there, I bought a kit to make a microwave potato bag from The Calico Cat , a quilt store in Kaimuki. This is the first time I ever heard of this project so I was intrigued. I sewed it up just in time for my mom’s birthday gift. She loved it and she had never heard anything like it either! Now, I had to investigate this further. 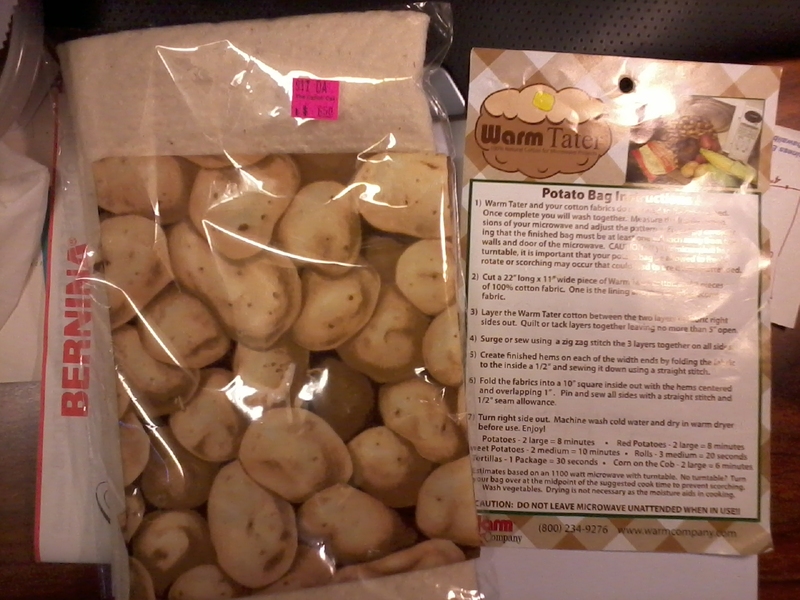 I looked up the Warm Company site, where the fabric and instructions in the kit came from, they had everything about the potato bag and even instructions .I started looking at all the potato baking bag sites. I found a site, PotatoBakingBag. I watched the whole video and thought it was so cute that he and his wife had this site and that his video was so quaint. Now I was intrigued that I never heard of this before. Especially reading that people have been making these for years, some 10 years, and selling them at craft fairs. I bought some cotton batting, cotton muslin and cotton “local style” prints (from Walmart) and made my very own Microwave Potato Baking Bag . I washed the bag and baked my first potato. It cooked in 4 minutes! Moist and delicious! And no pricking the skin!. That’s when I decided to make this a project for Christmas gifts! 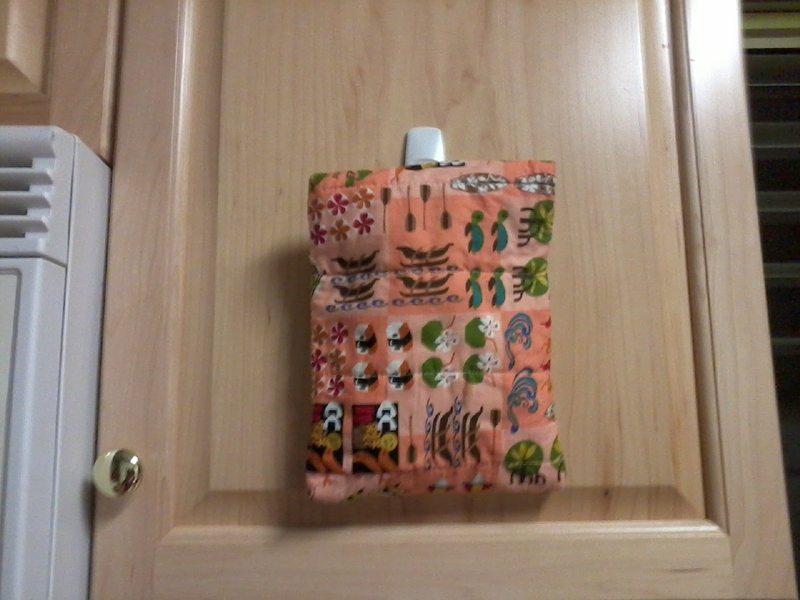 I did alter the design to make it a mini bag and used my serger and sewing machine to make a quick easy gift.